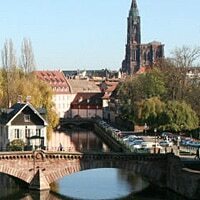 The Cityzi NFC mobile payments service will go live in the city of Strasbourg on 17 October. Strasbourg is to be the second NFC city in France, following the successful introduction of NFC services in Nice during 2010, the country’s mobile network operators have announced. The new service will go live on 17 October and will see local consumers being able to buy NFC phones from Bouygues Telecom, Orange and SFR stores as well as from branches of Crédit Mutuel CIC, the majority owner of French MVNO NRJ Mobile. Consumers will be able to use their phones to make payments in local stores equipped with contactless point of sale terminals and pay for parking at any of the city’s parking meters. Strasbourg’s adoption of NFC follows the offer of funding by the French government to local areas interested in deploying the technology. Nine cities, including Strasbourg, were awarded funding in January this year and a total of 42 cities and communities across France have now responded to the ‘Deployment of mobile NFC’ funding offer. This is expected to lead to NFC services being introduced in two-thirds of French regions in the near future. Earlier this year, the French mobile network operators committed to deploying a total of one million NFC phones in 2011.